Taylor Herrick Recruitment is an independent boutique recruitment business. It was formed in 2008 to provide an unparalleled ethical recruitment service, we have since grown as a business and now operate within a number of professional sectors. We pride ourselves on placing the best talent in the specialist sectors in which we operate. As part of our ambitious growth plans, we intend to recruit a new member to the team and are looking to appoint a Recruitment Consultant. Due to the nature of our work, we are ideally looking for someone with recruitment experience ideally within the property sectors or another professional division. Alternatively, you might be a graduate in property or the Built Environment with good commercial acumen and the desire towork within a thriving office environment. This is a sales role where you will be expected to generate revenue according to targets. Developing a network of candidates through advertising, job boards, professional networking and recommendations / referrals. Interviewing candidates and providing consultative advice regarding job search. To ensure a constant pool of talent / job ready candidates by managing a database of temporary and permanent candidates. Client business development and maintaining existing relationships through regular contact, canvass calls, feedback, client meetings and networking. To provide a full recruitment support service to clients who are recruiting. To listen, understand and detail job briefs from clients, providing sector advice where necessary. To write copy for advertisements. To update and maintain accurate advertising across our own website, job boards and social media accounts. To manage social media accounts for your sector, including monthly blogs, twitter, linkedin, facebook etc. Monitor advert responses and manage short-listing of candidates. Arrange interviews, take and deliver feedback from all parties, negotiate offers and manage placements. Ensure all governance activities are executed eg crb checks and reference taking. Maintain contact with clients and candidates throughout notice period. A target driven and professional attitude. Excellent communication and presentation skills, including verbal and listening. Capability to prioritise, multi task and work within a pressurised environment. Proficiency in IT skills including word, excel and the internet. Ability to complete weekly administrative tasks, as requested. Ability to work to agreed key performance indicators. Natural presence, engaging, ability to instigate and maintain natural dialogue with whoever you are communicating with. Passion for the work you do, ensuring fast pace and accuracy. A targeted and structured approach to your work. COMMITTED to delivering the highest levels of service and exceeding your expectations. There are excellent prospects for the person we appoint: in addition to generous salary and commission structure, we will support you in developing your career whilst working for part of an ambitious company. The starting salary will between £16,000 – £18,000 depending on experience, plus commission. Typical OTE for this role will be circa £30,000 in year 1. There is a structured path for progression and promotion that comes with excellent benefits. Overview: Taylor Herrick Recruitment is an independent boutique recruitment business. It was formed in 2008 to provide an unparalleled ethical recruitment service, we have since grown as a business and now operate within a number of professional sectors. We pride ourselves on placing the best talent in the specialist sectors in which we operate. The Role: The role is for a Recruitment Resourcer / Talent Finder. 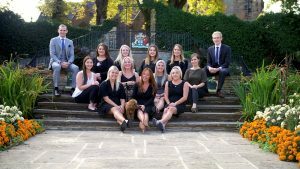 As we are a small boutique business, we will need you to work in a supportive and efficient manner to the team, proving recruitment resourcing. This is a new role to the office and will evolve as time progresses. maintaining an accurate database of candidates. running CV database searches and downloading information from job boards. Calling potential candidates for roles – screening questions. Salary & Benefits: There are excellent prospects for the person we appoint: in addition to generous salary, we will support you in developing your career whilst working for part of an ambitious company. The starting salary will be in the region of £17,000 – £18,000 plus bonus. The role is for a Resourcer. 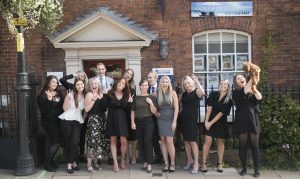 As we are a small boutique business, we will need you to work in a supportive and efficient manner to the team, proving recruitment resourcing. This is a new role to the office and will evolve as time progresses. There are excellent prospects for the person we appoint: in addition to generous salary, we will support you in developing your career whilst working for part of an ambitious company. The starting salary will be £16,000 – £18,000 pro rata.